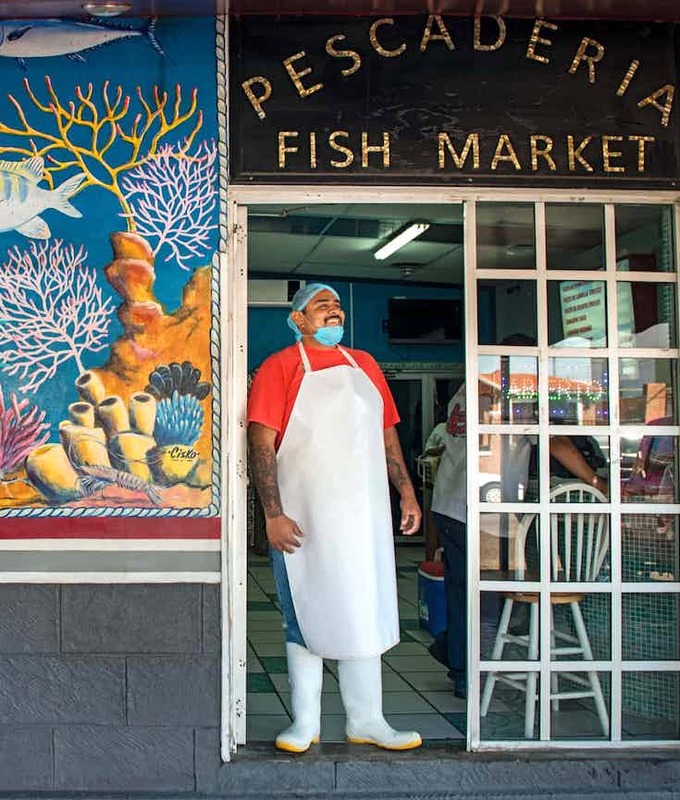 Baja California Sur – Fishmonger Jorge Armando Pérez outside the fish market in La Paz. Bordered by Baja California, the Pacific and the Sea of Cortés, Baja California Sur has lots of sun, sea and sandy beaches, and rich fishing grounds. One rare delicacy caught there is, the panopea generosa, or Pacific geoduck, a clam that can grow to 20cm long. Rancheros outside Cantina la Bola, a bar in the village of Xilitla, which is famous for the surrealist sculptures created by artist Edward James in the jungle nearby, and for its particularly lively Day of the Dead celebrations, known in this region as Xantolo. Restaurant Mariscos Kikaa, in the small fishing village of Mexcaltitán, needs constant propping up to prevent it sinking into the lagoon. It serves some of Mexico’s best dried prawns. The palm-ceilinged bar Cantina Tizoc on Calle Tacuba , in the city of Jerez.